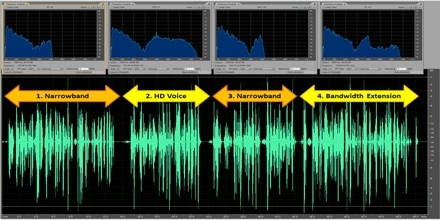 Bandwidth extension has become used in the two speech and music compression applications. Its significant advancement in recent years has led towards the technology being adopted commercially in many areas including psychacoustic bass enhancement of small loudspeakers and the high frequency enlargement of coded speech and audio. This article briefly describe Bandwidth extension of speech in telephone systems.